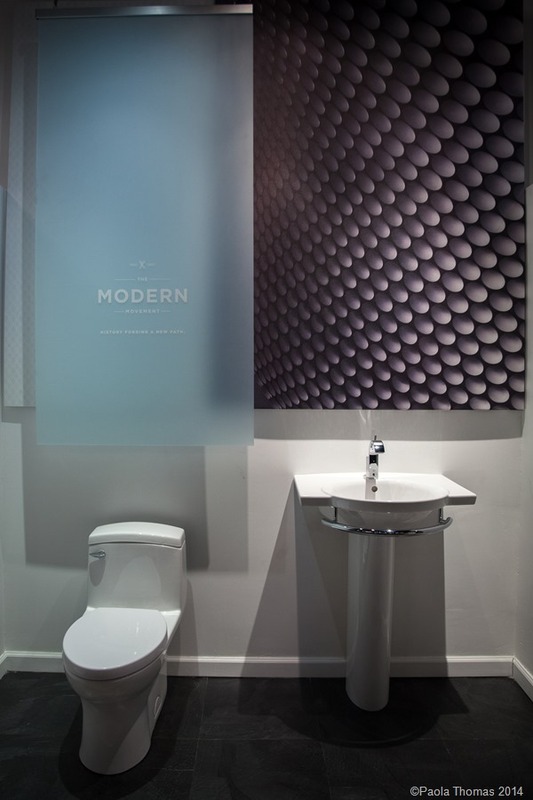 One of our lovely sponsors on #blogtournyc was DXV, a new luxury kitchen and bathroom brand from American Standard. As part of BlogTour we were invited to visit their stunning new showroom in the heart of New York’s Flatiron district (usually by appointment only). DXV celebrates American Standard’s rich 150 year history and heritage by organising its initial collections of fixtures and fittings around four separate design ‘movements’ – blending the design aesthetic and artisanal qualities of the past, with the performance and design requirements of the modern consumer. At the launch party in New York, even the cocktails were themed appropriately and I was lucky enough to be given the recipes, devised by ace mixologist Elayne Duff. Obviously any opportunity to make, photograph and drink cocktails is not to be passed up in a hurry. 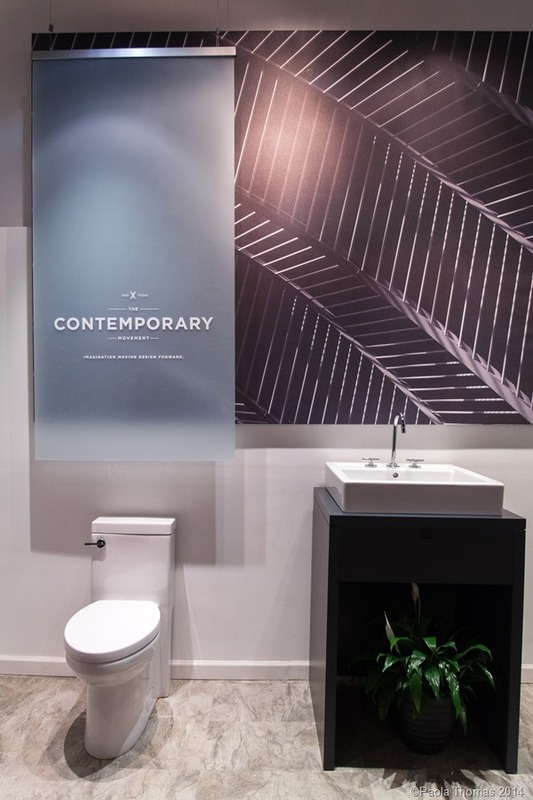 So welcome to 150 years of design history in bathroom fixtures brought to you via the medium of classic cocktails with a contemporary twist (you can’t say we don’t spoil you). First up is the Contemporary era, representing the years 1990 onwards. 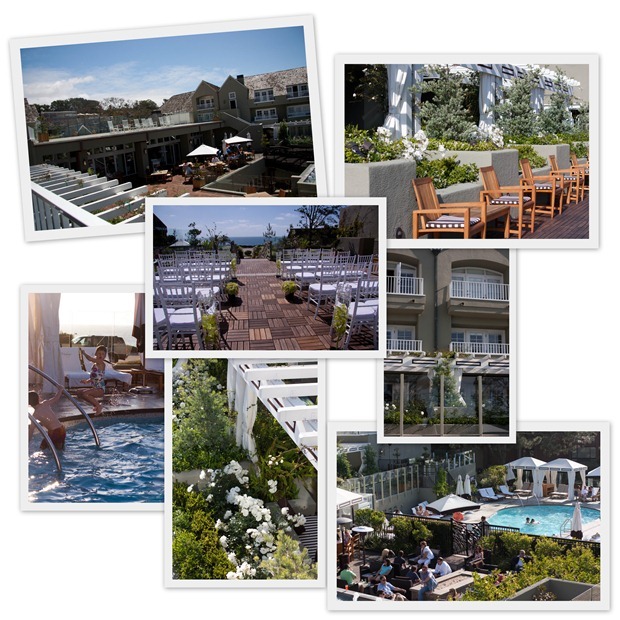 In design terms, this constantly evolving aesthetic combines minimalism and rich texture, individual style and natural forms. 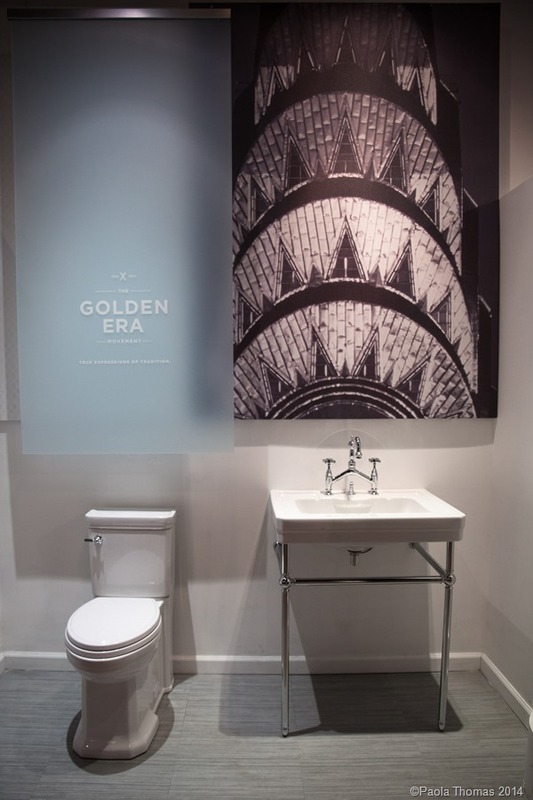 The photos representing each design era were taken at the DXV showroom. Interpreting this them through cocktails, Elayne chose a modern twist on the Scofflaw using raspberry syrup instead of the traditional grenadine. 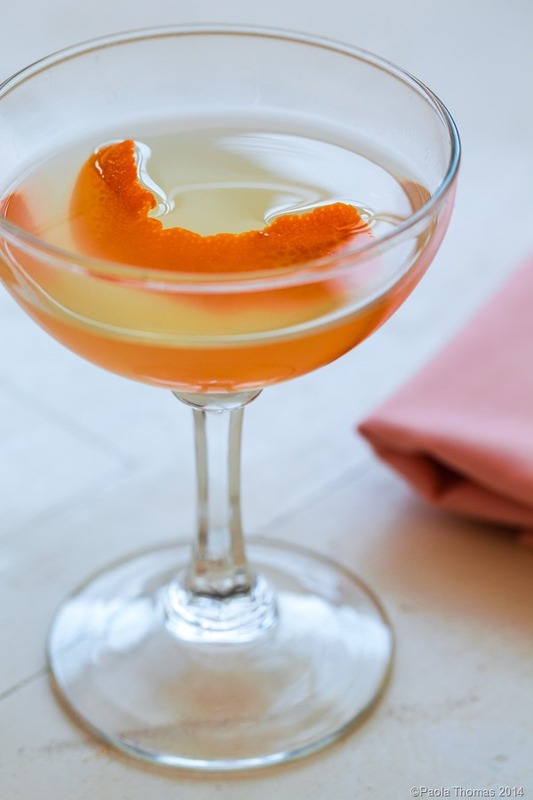 This cocktail was new to me and apparently dates back to Paris in the Prohibition era – if you were drinking cocktails at the time you were scoffing at the law – but also nods to today’s love of bourbon. 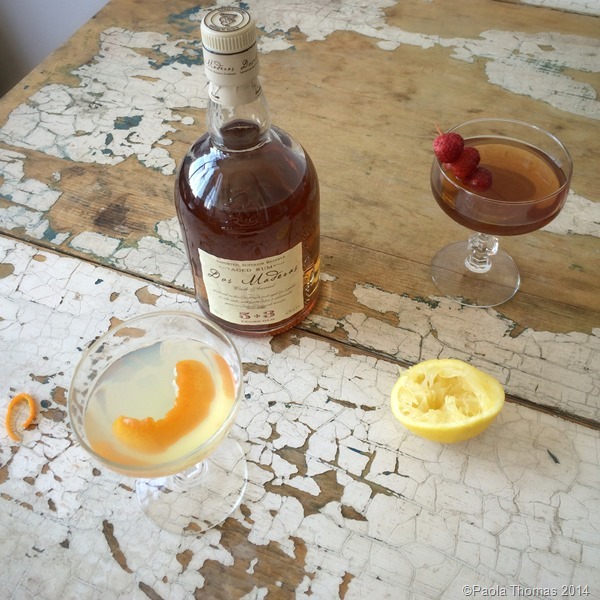 This is an easy cocktail to make as it doesn’t contain too many esoteric ingredients, and it’s one I’ll make again and again. 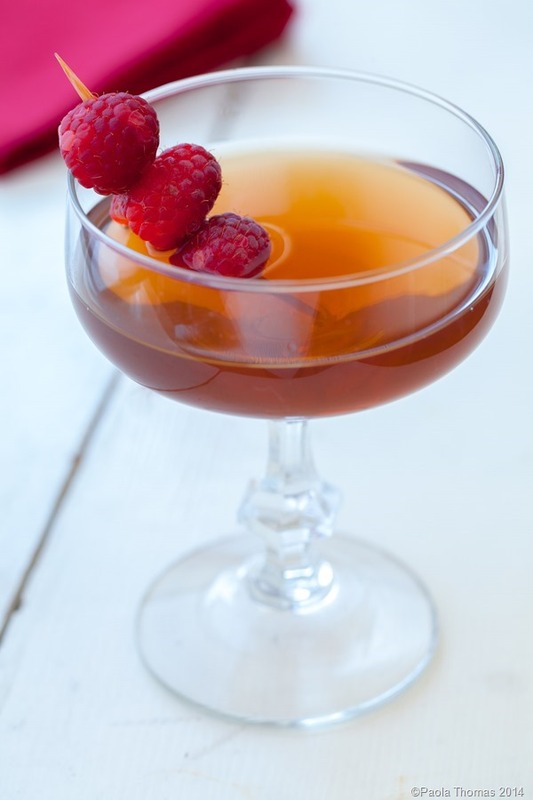 The earthiness of the bourbon is softened a little by the sweet raspberry syrup (I bought mine, though you could make your own) while the addition of bitter citrusy flavours in the form of dry vermouth and lime juice ensures that it is not too sweet. Next up is the Modern era representing the post-war years between 1950-1990. The design of this era was marked by experimentation and individuality,and the interplay between flowing lines, curving forms and geometric structures. Elayne was inspired to create a traditional Mai Tai to represent this movement in a nod to jet age travel and the ‘tiki’ culture of those decades. A Mai Tai can so often be overly kitschy, festooned with little umbrellas, cherries, pineapples and tropical flowers. 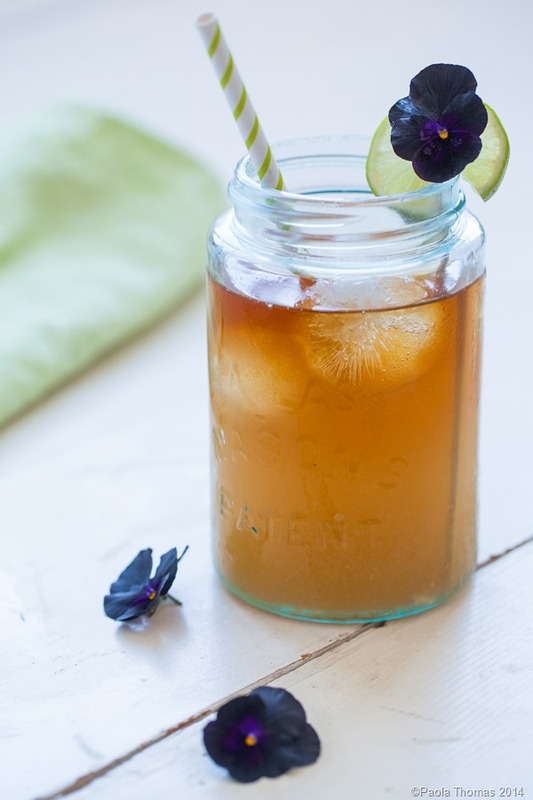 The drink too is often adulterated with pineapple juice, orange juice or grenadine but this is a sophisticated and very more-ish version – luscious, strong and not too sweet. I will also be eternally grateful to this recipe for introducing me to orgeat syrup, made from apricot kernels and tasting like marzipan in a bottle. The Golden Era covers the pre-war years from from 1920-1950. In design this is the classic era of Art Deco where a spirit of experimentation was combined with industrial design to produce a thoughtful, refined aesthetic, based on simple geometric shapes and reduced ornamentation. In cocktail terms Elayne paid homage to that era’s obsession for gin with the Corpse Reviver. I’m not a big fan of gin-based cocktails – they can often get a bit too floral and grannyish for my tastes – but this was GOOD, given extra layers of bitterness, sourness and sophistication by the Cocchi Americano (used instead of Lillet), lemon juice and absinthe, with an orange twist instead of the traditional cherries. The final DXV movement represents the Classic era, representing the years 1880 to 1920 which saw a convergence of opulence and modern technology, and an emphasis on artisanal craftsmanship. In this, the era of Art Nouveau, design pushed beyond the rigid geometry of neoclassicism and became more intricate and organic. 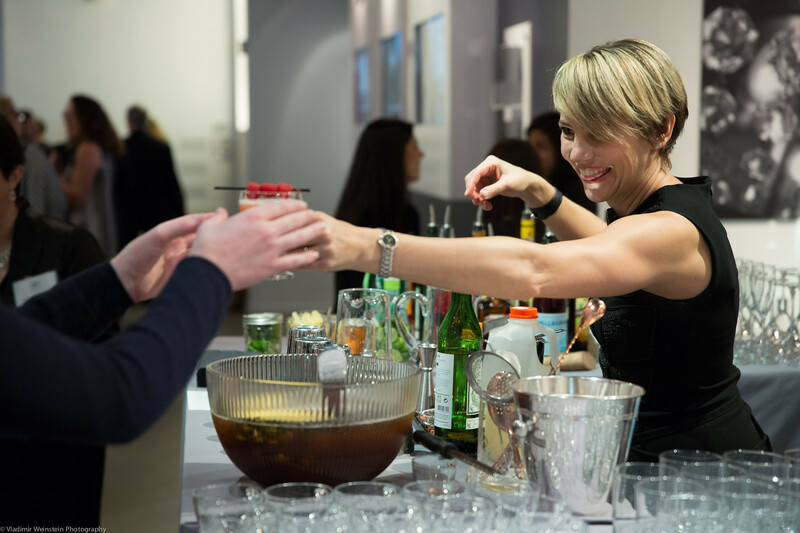 Elayne Duff chose to celebrate the communal drinking of this era to create a traditional rum punch and here she is serving it at the launch party. The recipe for this looks really interesting and I’m definitely going to try it our at our next summer party. If it works I’ll share it in a future post. 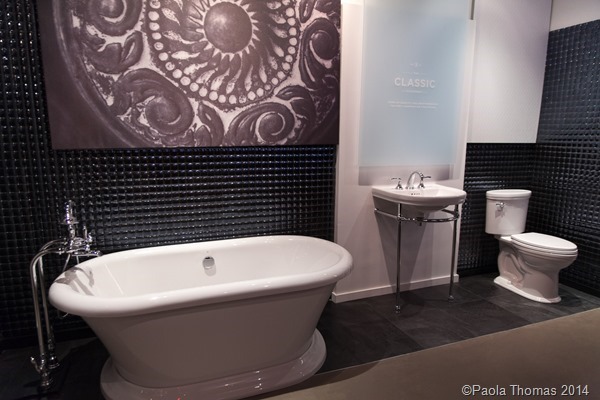 For more about the DXV collection and its design inspirations check out this video. I don’t normally like to share ads on this blog, but the visuals on this are mesmerising.